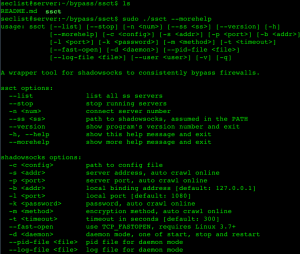 Browse: Home / ssct – A wrapper tool for shadowsocks to consistently bypass firewall. 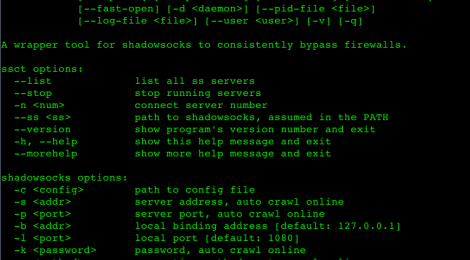 ssct is a python3 scripting wrapper tool for shadowsocks to consistently bypass firewalls. 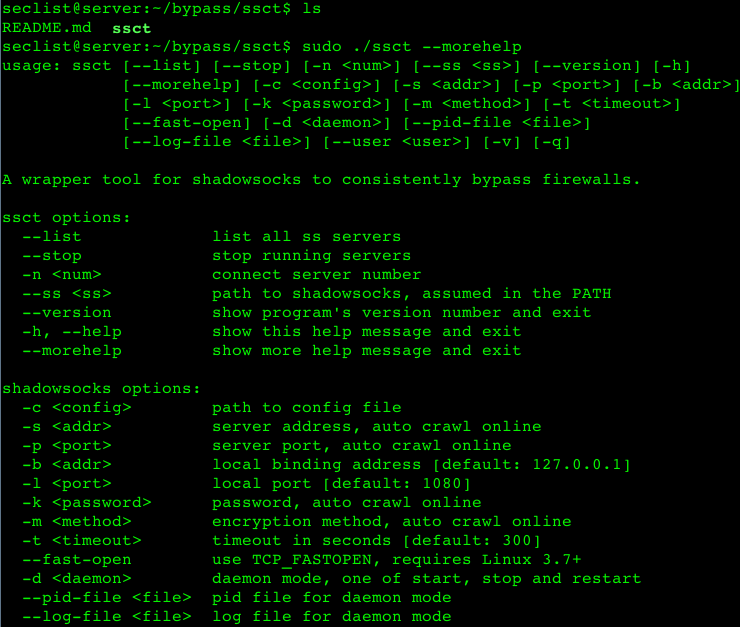 + requests, prettytable, argparse and subprocess python3 module.